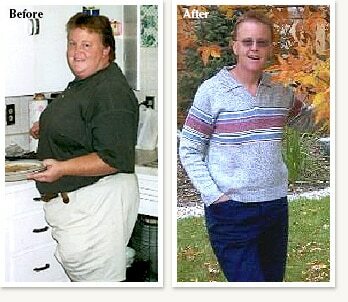 I started the program at 276 pounds and now weigh 170 pounds. The total process took me 7 months to reach my goal weight and I can’t think of anything I have done that has been more satisfying personally for me. I decided upon the Protein Sparing Modified Fast program with the hopes that I would lose weight somewhat quickly but still be able to have the satisfaction of eating “real” food. This program accomplished just that and I found it to be an easy program for me to follow. I have been overweight for the last 25 years and had been creeping up year after year. I never really tried any other programs because I never felt I could follow their plans. After my yearly physical with my family doctor and discovering that my blood pressure, cholesterol and triglycerides were all too high, I decided I didn’t want to live my life in fear of what damage my poor health would cause down the road. My doctor recommended a number of plans, including the Clinical Nutrition Center, and I set my sites on CNC due to a number of reasons. I liked the idea of a one-on-one weekly visit with a nutritionist as well as being doctor-supervised. It was important to me to be monitored and, with this program, I have always felt as though my health was of utmost importance as well as the weight loss. I enjoyed meeting each week with Tracy (my nutritionist) and going over my weekly accomplishments and learning how to look at eating and doing it correctly. I have expanded my horizons regarding how and what to cook and have been enjoying the time experimenting in the kitchen. It was a challenging time and some weeks were harder than others, but I learned a great deal about myself and found that you can eat correctly and not be hungry. I fell off the “wagon” a few times but having the weekly consultation enabled me to better understand the “why’s” of what I was doing and realizing it was all part of the learning process. I recommend this to anyone who has the desire to lose weight whether it is a large sum or just 20 pounds. The support of the entire staff makes it a very pleasurable experience and is an environment where success is very achievable. I know that it has made a world of difference for me. From being able to tie my shoes without holding my breath, having very good blood pressure and cholesterol, actually being able to cross my legs (that hasn’t happened for 20 years), and being able to ride my bike and take long walks and hikes again, I am the person I was so long ago and had forgotten about. I love the feeling now and couldn’t be happier. I thank the staff at CNC for their support and help in achieving my goals and being where I am now.